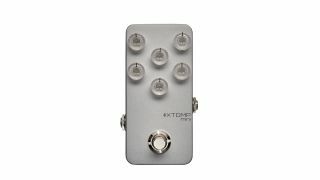 For a multi-effects pedal that won’t take up much space on your pedalboard - or remove many notes from your wallet - you’ll struggle to beat this deal on Hotone’s all-encompassing Xtomp Mini multi-effects pedal. Sam Ash is currently blowing these out for a mere $79 - $70 off the regular $149 selling price. By hooking up to Hotone’s iOS and Android app via Bluetooth, the Xtomp Mini gives you access to hundreds of amp and effects models, which you can switch out as you see fit - and it sounds great, too. In our review, we said it “quite possibly represents the most practical addition for your ’board out there” - and at this price, what are you waiting for?